West Virginia Events, Coupons, Reviews! 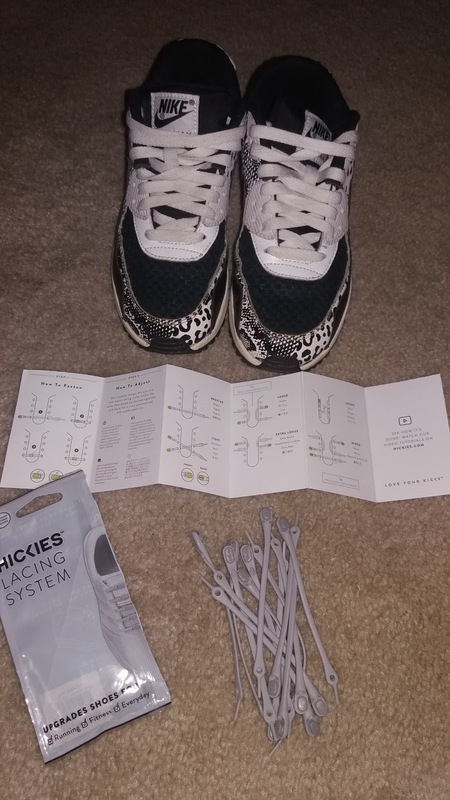 If you're young or old there's a Hickies lacing system for you. 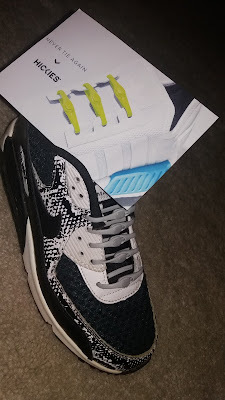 I was sent 2 packs of these laces one kidsshoe pack and one adult shoe pack. Each pack has enough to do 1 pair of shoes and comes in a resealable bag you can use to store your old laces in. When I opened the Hickies laces and looked them over I noticed they're a stretchy silicone like material. They stretch when you're slipping your shoe on and off and stay tight when the shoes on your foot. I don't feel like my shoe is coming off my foot or have any issues with my shoe sliding off my heels. The Hickies were really easy to install in my shoes. 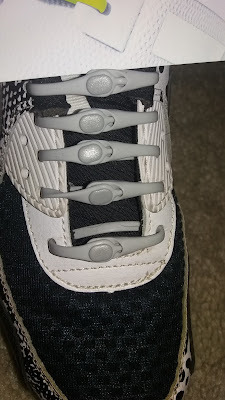 I just fit each one through a row of my shoelace holes and fastened them together. The directions in the package showed detailed photos and text making it easy to understand. There's also a video on the Hickies website in case you run into any difficulties. After I had the Hickies all laced up in my shoes and slide my shoes on and was amazed! My shoes easily stretch to fit over my feet and stay nice and snug on my feet just like regular laces. I can now put my shoes on in half the time! These would not only be great for kids but also anyone with back or other mobility issues that make it difficult to bend down to tir their shoelaces. Also there's no messy laces coming undone or getting knotted up or dirty. These Hickies keep my shoes looking a lot cleaner and now are much easier to slip on and off.